BSCL (Belagavi Smart city limited) intends to provide a low cost and environment-friendly mobility option on PPP mode, which also acts as a feeder system providing last mile connectivity to the commuters in city. The envisaged mode of implementing the public bicycle share system under PPP is Design – Build –Finance – Operate – Transfer (DBFOT) basis. BSCL intends to implement the project in a single phase. The private partner whosoever will be selected for the project is expected to design, build (set-up), Finance and operate a comprehensive system comprising of bicycles; stations (if applicable); payment systems; operations and maintenance, marketing and outreach and customer service. The objective of this EoI (Expression of Interest) is to identify the prospective applicants for PBS in Belagavi, Based on the responses of the EOI the BSCL may float open RFP or to the prospective applicants. 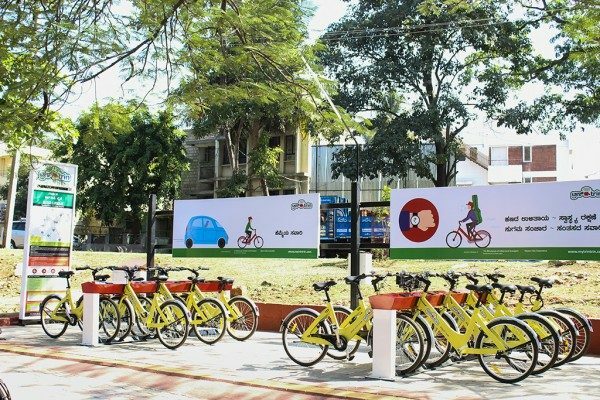 The private partner will be required to procure and operate new (unused) bicycles and build new stations as per the desired fleet size, each of which shall comply with the technical standards to be set by the authority. The private partner will be required to procure/develop software to aid in monitoring, planning and the redistribution of bicycles in a transparent way.